Many owners of older or architecturally unique residential and commercial properties in North Park wonder if their properties could qualify as a significant historical resource (“landmark”), and if they could then reduce their property taxes under the Mills Act. 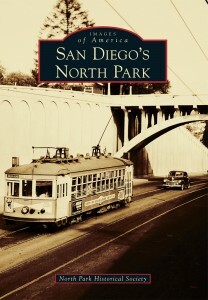 The North Park Historical Society (NPHS) is offering a free advisory service for Greater North Park property owners who are interested in pursuing City of San Diego historical resource designation for their property with or without a subsequent Mills Act application. NPHS members with experience in reviewing the historic quality of structures under City of San Diego criteria will evaluate the potential significance of the structure. Upon completing the evaluation, NPHS findings will be sent to you via e-mail. Properties believed to be potentially historically significant will also receive a copy of “Historical Resource/Mills Act Guidelines Compiled by the North Park Historical Society” which is meant to help owners understand the requirements and costs in obtaining historical resource designation and Mills Act status. For several years, the North Park Historical Society was interested in securing designation of the North Park Water Tower as an historic place. On May 1, 2013 the State Historical Resources Commission unanimously approved listing the Water Tower and the surrounding “district” of past and present water supply facilities as a significant California Resource. On June 25, 2013 the Water Tower and the entire University Heights Water Storage and Pumping Station Historic District was placed on the National Register of Historic Places. Click on the following document to see the notification National Register Listing for North Park Water Tower. On April 23, 2015, the City of San Diego’s Historic Resources Board also voted to include the Water Tower and the District on the local list of historically designated places. Click on the following document to see the application prepared by Alex Bevil for the North Park Historical Society. On a pro-bono basis, V & A Consulting Engineers recently completed a coating evaluation of the North Park Water Tower. Please click on the link below to see the complete evaluation report. To print the above documents, it is necessary to make the document full size by clicking on the arrow in the upper right corner just above the document. When it becomes full size, click on the printer icon to format it and then use the internet browser print command.